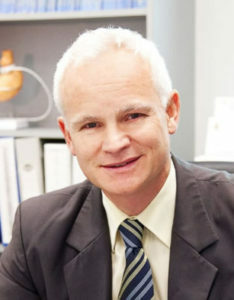 Dr. Tim Wright – Laparoscopic, General and Obesity Surgeon. Tim is a general surgeon with a special interest in advanced laparoscopic surgery. He has been performing obesity surgery since 1997 and has extensive experience with all three common operations – gastric banding, sleeve gastrectomy and gastric bypass. He has also done many revision procedures from previous failed operations such as stomach stapling. Once patients have lost weight and are requiring removal of loose skin, a tummy tuck (abdominoplasty) can be offered. When not doing obesity surgery, Tim is a busy general surgeon both in the public and private systems for elective and emergency patients. He has a strong interest in surgery for oesophageal and gastric cancer and for reflux disease. The majority of his surgery is done laparoscopically or endoscopically. Tim is an avid mountain biker which helps him keep healthy, fit and alert – attributes important for all surgeons. Training in general and laparoscopic surgery in Nottingham, Liverpool and Leeds UK and also Adelaide SA. Training completed in 1999. Other experience in plastic surgery, thoracic surgery, vascular surgery. General Surgery, Laparoscopic Surgery & Obesity Surgery.